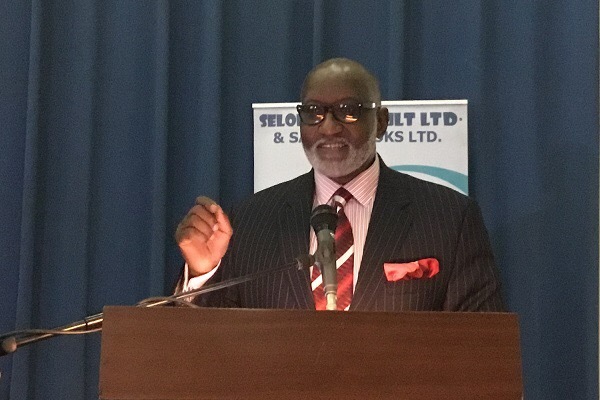 Remarks by Mr. Oseloka H. Obaze, at the Public Presentation of The Book Prime Witness – Change and Policy Challenges in Buhari’s Nigeria, At the Shehu Musa Yar’Adua Centre, Abuja FCT, 24th May, 2018. I want to thank our esteemed chairman, HRH Eze Vincent Chukwuemeka Ike, OFR, NNOM, the reviewers, my dear friends Prof. Emeka Aniagolu and Segun Adeniyi and of course, our MC, Chief Okey Muo Aroh for the honours and courage of being part of this event. I thank all our distinguished guests, my former colleagues in the public policy and public service realm, and my dear friends and family. Special thanks go to my publisher, Chief Joop Berkhout for his support and diligence in Nigeria’s very challenging book publishing and reading environment. That all of you found time to be here this morning shows that you care about the impact of public policy and the fate of our country. Your respective presence adds value to this literary event. My comments will be brief, since the reviewers have magisterially done the heavy lifting. As I mentioned in the opening part of this book, I never set out to write a book on the incumbent administration. But I was and I am still committed to staying engaged and adding value in the public policy debate in Nigeria. Prime Witness – Change and Policy Challenges in Buhari’s Nigeria, which we present in Abuja today, is therefore an incidental end product of my curiosity and observations. Prime Witness, for anyone who cares to know, is essentially a public policy interrogation book. I am certain that just as the book’s title –a marketing loss leader – tweaked the curiosity of some, prompting them to attend this presentation; it also tweaked the discretion of some, compelling them to stay away under whatever pretext. Contrary to what some may think, this book is not all about criticisms of the Buhari Presidency; it contains a modicum of commendation, recommendations, solutions and possible remedial measures. For that reason, I extended invitation to this book presentation to the Presidency. As you have heard and will glean further from reading the book, this volume is a case study on public policymaking in Nigeria during a specific period. It seeks to analyze evolving policies from the very onset of the Buhari administration; focusing on lessons learned, missed opportunities and choices before Nigeria. Accordingly, if this volume does nothing else, I sincerely hope that it will at least, help in resetting the modalities for formulating and implementing public policymaking in Nigeria. On a personal note, I remain convinced that in or out of government, we are obligated as Nigerians to speak up on matters of national interest and during public policy discussions, which I consider far too important to be left to elected or appointed policymakers. You will agree with me that the contribution and role of an informed citizenry to public policymaking remains one of the enduring hallmarks of a well-functioning democracy. As a social scientist, I’m aware that history does not forgive inconsistency; more so where the wellbeing and lives of a people are concerned. There are existing fault lines in Nigeria. There are also profound challenges. We can’t shy away from tackling or discussing them. Moreover, in a democracy, like ours, the greatest danger we face is for those who can help bring about change or who can speak up to refuse to get involved, or to become complacent in speaking up publicly on critical national questions. We owe it to posterity, to evaluate our leadership and our challenges continuously. Our country, Nigeria remains an outlier. Normalcy here is underpinned by imponderables, absurdities and abnormalities. In this context, the essence of this book can be better appreciated from the reflection on Page vii, borrowed from Kahlil Gibran’s seminal book The Prophet. The dialogue in that book ran thus: “But what of our laws, master? And he answered: You delight in laying down laws. Yet you delight more in breaking them.” This epigram puts Nigeria’s leadership, governance and public policy challenges in their proper context, while underlining the essence of the rule of law. I believe that many of us in this room represent a national class – the national elite. I also believe that the numerous problems we face nationally are self-inflicted and of our own making. If our public policies and governance efforts are weak, it is because our institutions are weak. If our institutions are weak, it is because we prefer them that way. Policy challenges do not happen in a vacuum; and they are certainly not always externally induced, as they are products of domestic and partisan considerations. It behooves us, therefore, especially those in the academic, think tanks, the media and policy consultancies, to continue evaluating public policies as they evolve. Of recent, I have written and spoken publicly about the impact of the national elite on our democracy. Let me conclude, therefore, by underlining that the public policy realm has not been spared from the vagaries of our politics. Where and when governance and public policies become contingent on transactional relations or unfettered partisanship, the nation suffers. As I have said previously, when our national elite are unaccountable to the nation, they collectively undermine the nation and indorse democracy’s uncertainties. The strength of government at any juncture in our democracy will hinge on sustaining the building blocks of democracy, through the rule of law, power sharing, proper representation, checks and balances, and sustaining legitimate institutions. Add to that leadership and elite accountability. This book Prime Witness shows clearly, where our national problems –both inherited and orchestrated – emanate from; where the blames lay, and our shared responsibilities. I have written on various national issues as I saw them; I must now allow you as the citizens and readers to draw your own conclusions. Thank you for being here, and may Almighty bless us all.